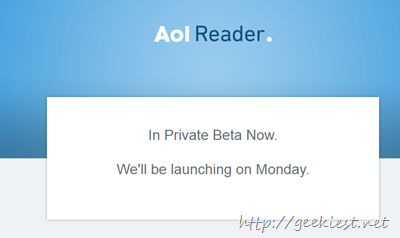 Google Reader will be closing down the access from July 1, 2013. So people were in search for an alternative of the Google Reader. Sure the feedly is one of the best alternative available so far. But here AOL is to announce a Reader service names AOL Reader.